Does chronic illness consume too much of your life? At times, it has in mine. I never consciously decided to let it take up more and more of my time and space, but it has happened. I've been on a monster roller coaster ride with RA that's lasted years. In the beginning, one biologic had me on “cruise control” for years, clicking me slowly up the hill, higher and higher, as I enjoyed the view. Then came my very carefully planned pregnancy, and the ride began in earnest with a deathly plunge at bullet speed. If you have read this blog before – or my book, you know instead of going into full remission like many women with RA, I got really sick. RA essentially shut down my kidneys, and I have been fighting ever since. Almost 4 ½ years later, I am finally off the roller coast from Hell, and happy to be on much more manageable merry-go-round of relatively benign daily aches and pains. I think recent good fortune is the result of time and finding the right healthcare professionals to join my team. 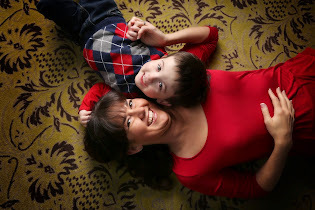 Working together with my doctors and loved ones, I have been able to become far more functional and rejoin society (for a lack of better description) as a mom, wife, and professional. Prednisone face be gone! Undoubtedly, some of the things I have to do to take care of myself take time – for example, my infusions, but other things I do are pretty normal for people who just want to be healthy. Watching what I eat, yoga, trying to stay active, therapeutic massage, stress management, etc. I think disconnecting these things to being sick is really important because it shifts the focus to being healthy. Healthy is the goal, the main thing. And as Stephen Covey, author of Seven Habits of Highly Effective People, says, "The main thing is to keep the main thing the main thing." The important and sometimes really hard part for me is making myself stick with these healthy routines so that I do not let RA sneak in and start taking more and more space in my life. When you are busy with a child (or children), it is really easy to put your personal needs aside because, instinctively and emotionally, children come first. But a question arises if you try to keep the main thing the main thing: if you are not as healthy as possible, are you able to give the children your best? I think the answer(s) to this question form a good case for quality verses quantity. If you find yourself in a place where you feel “stuck”, please know that I have been there and sometime go there if I am not diligent and persistent in working to be as healthy as possible. Having not only support at home but a health-driven medical team has made a tremendous difference in my life. I encourage you to remember yourself and know that when you are at your personal best, it is the best thing for your child or children. Being as healthy as possible must be the main thing. Although you would never know it from the attention given to the kite, my son and his girlfriend really wanted to fly a kite the other day. 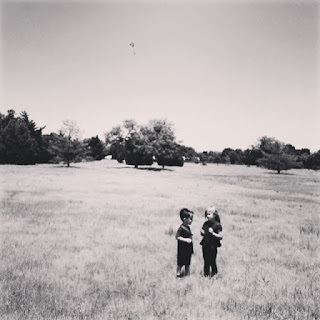 It turned that while the kite caught the wind and had a wild ride, the kids kept the main thing the main thing (each other). This is also a good reminder for me. That kite is like my struggles with RA, and I can focus on it, or I can focus on being healthy. The kite may be tied around my wrist, but it's not the main thing.